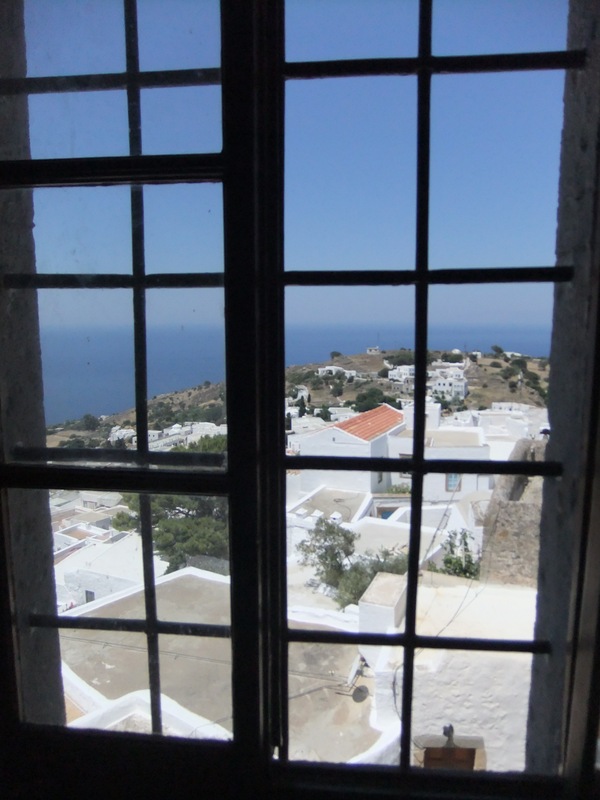 Patmos… I had often dreamed of visiting it and one early morning while we were staying on Kos I realised as I looked across the sparkling sea from our balcony that this dream was about to come true that very day! 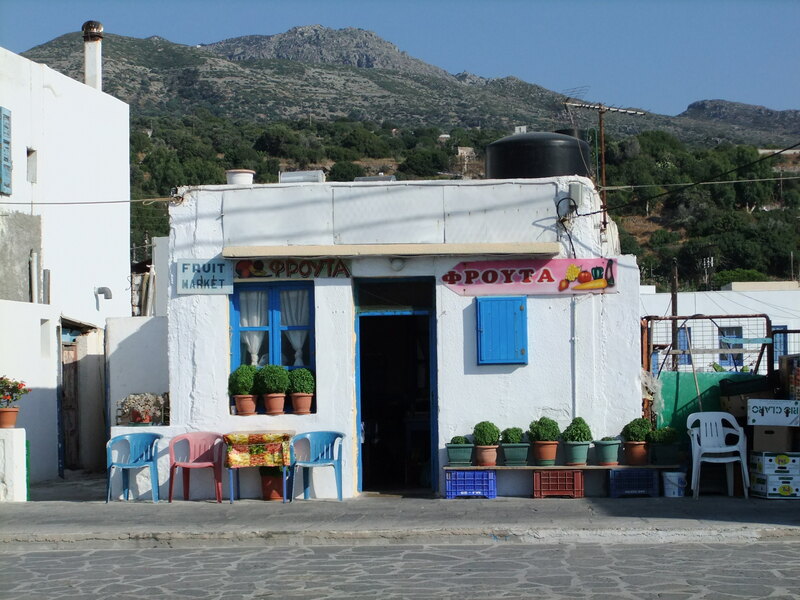 In the mellow early morning sun we drove to the harbour in Kos town where we parked and then boarded the Puglia Queen bound for Patmos. 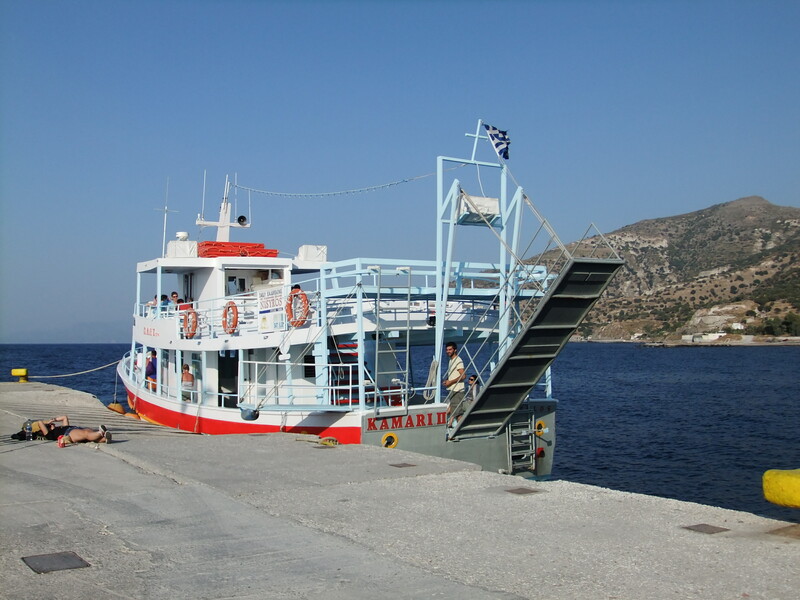 Unlike the boat to the volcanic island of Nissiros, this was a large vessel for the much longer sea journey involved. 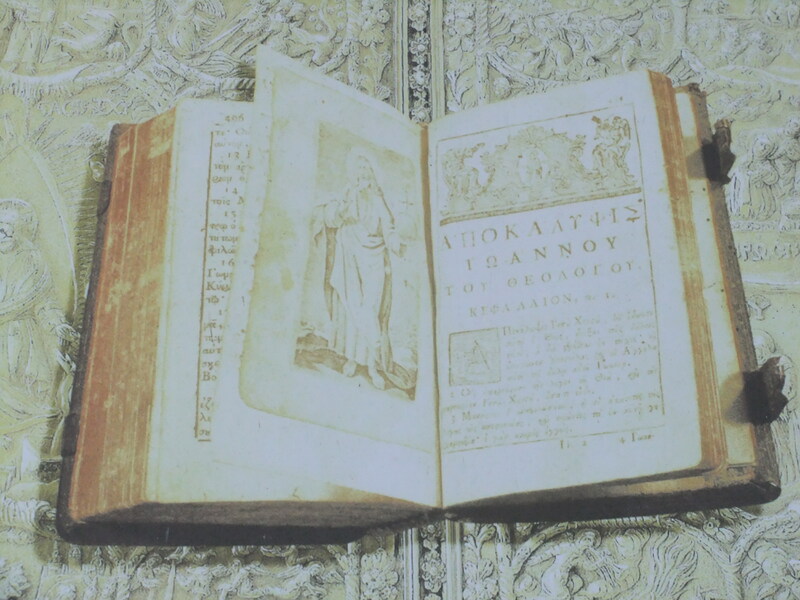 It was a smooth pleasant journey – more like a cruise and as I sat there I reflected on the fact that human nature has not changed at all since the days when John, the servant of God, was inspired to write those sacred and precious messages which the Lord revealed to him. Despite his circumstances John continued to praise God, being filled with His Spirit to the extent that the prophetic words that the Lord gave him to write and the wonderful visions that were revealed to him, would speak to billions of souls down through the ages ahead. 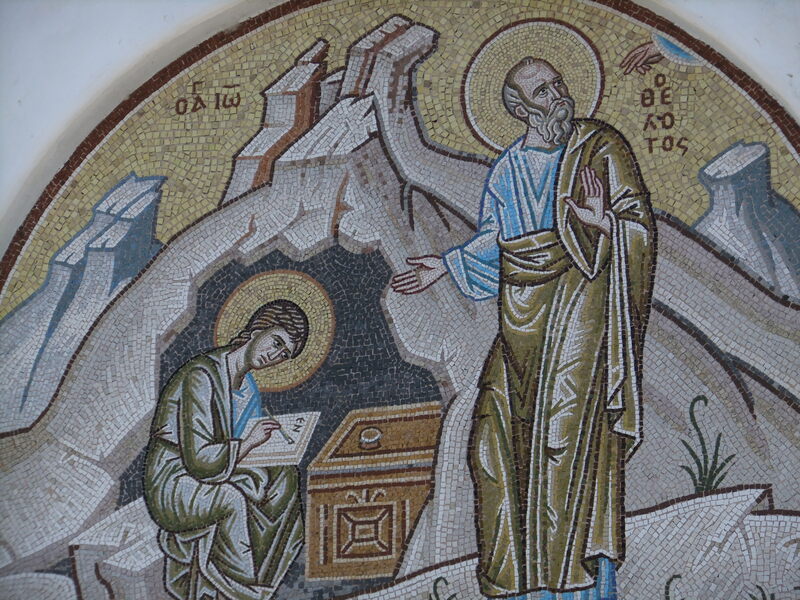 After docking we boarded the coach for ‘the cave of the Apocalypse’ which is where John is said to have received his revelation; yet sadly I knew that very few of these pilgrims to the cave would truly own the Lord Jesus Christ as Saviour. 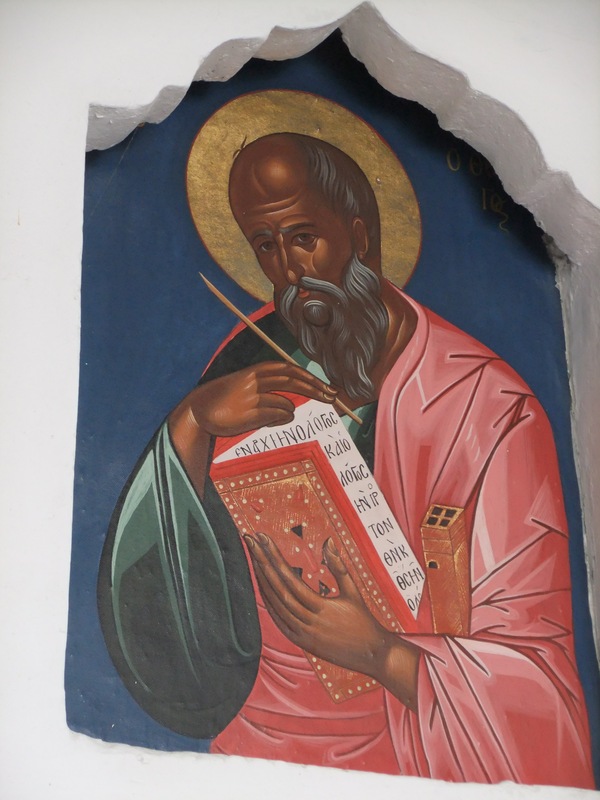 Several monasteries on the island are dedicated to St. John too and as I suspected, the cave etc. 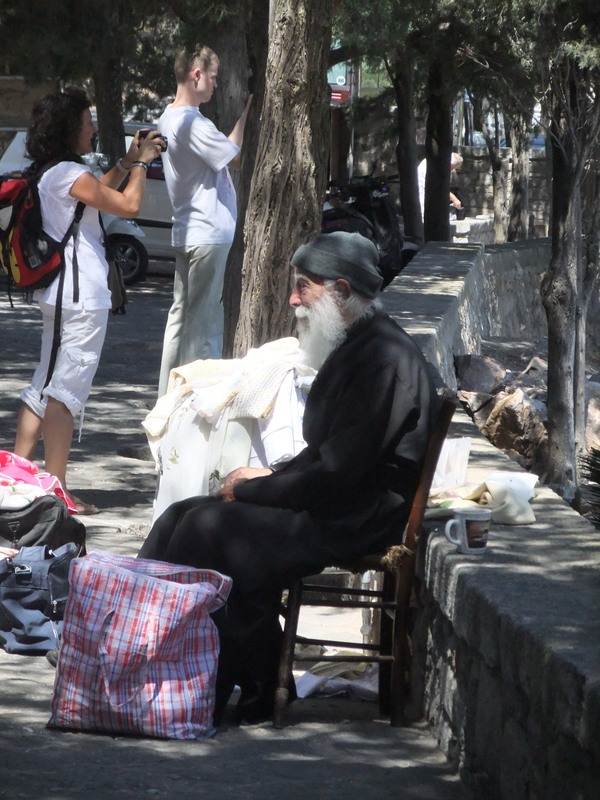 are used by the Greek Orthodox authorities to make money from the thousands of tourists who visit there each year. I chatted with a friendly little elderly man, dressed in black with a white beard, who accepted my Greek John 3v16 bookmark with a smile and a ‘thank you,’ while my husband got the opportunity to talk to one of the monks who showed a genuine interest in what we believed. We also met two young Dutch girls, Evangelical Christians, with whom we had a good conversation. All in all, it was an unforgettable and fascinating day. I noticed that when we initially boarded the ship, a passenger list had been made, reminding me of the ill-fated Titanic… How many of those names were written in the Lamb’s Book of Life? How many today can truly say these words with confidence? My memories of our recent summer trip to this volcano, aptly named the “sleeping giant,” are still fresh in my mind this autumn. 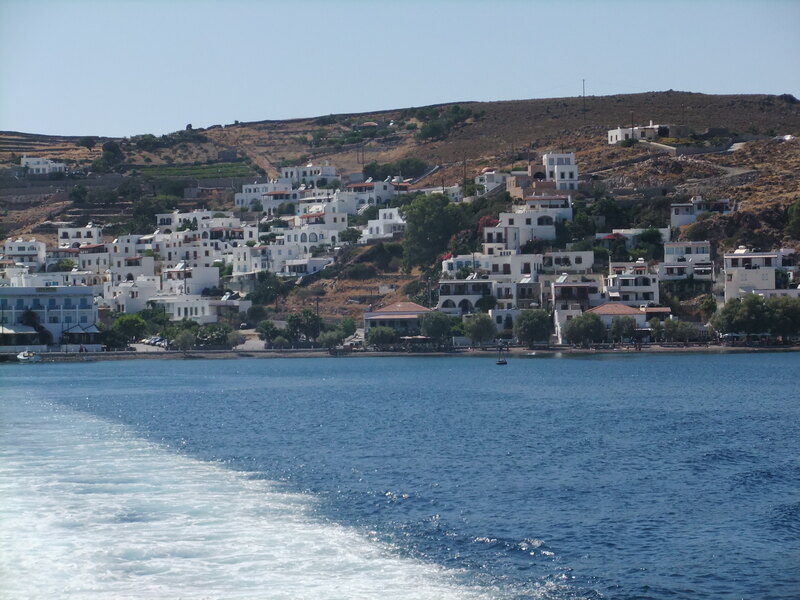 One morning we took an early morning trip to the nearby harbour at Kéfalos where we boarded a boat bound for the small picturesque island of Nissiros (also known as Nisyros). What a turbulent sea journey it was! However, although I normally get seasick quite easily, on this occasion I sat out on the deck and somehow the fresh air helped. Something else which greatly helped was the fact that I didn’t wander around the boat; I sat still, determined, keeping my eyes on one solid unmoveable object when conditions were at their worst. That solid unmoveable object did not include one of my fellow passengers – for they could quite possibly let me down in this respect, especially when most of them seemed to be having a hard enough time dealing with the conditions too! Later I was struck by this wonderful spiritual parallel… when life presents us with some turbulent conditions; the only safe place is to have our eyes firmly fixed on the Saviour, the Lord Jesus Christ, our unmoveable Rock and Fortress. At one point I noticed a distant rocky and misty coastline and asked one of the Greeks where it was, to which he replied shortly… “That is Turkey.” On arrival at this little island of Nissiros, home to around just 1,000 people who are distributed over four villages; we boarded a coach which drove away up into some very barren, but fascinating countryside. As soon as we reached the site of the volcano, I was struck by the fact that this was a very unique experience for me and quite possibly something I may never do again in my lifetime. Outside the coach I was immediately overwhelmed by the unpleasant smell of sulphur – I could only describe it as being like very rotten eggs mixed with dust and ashes. 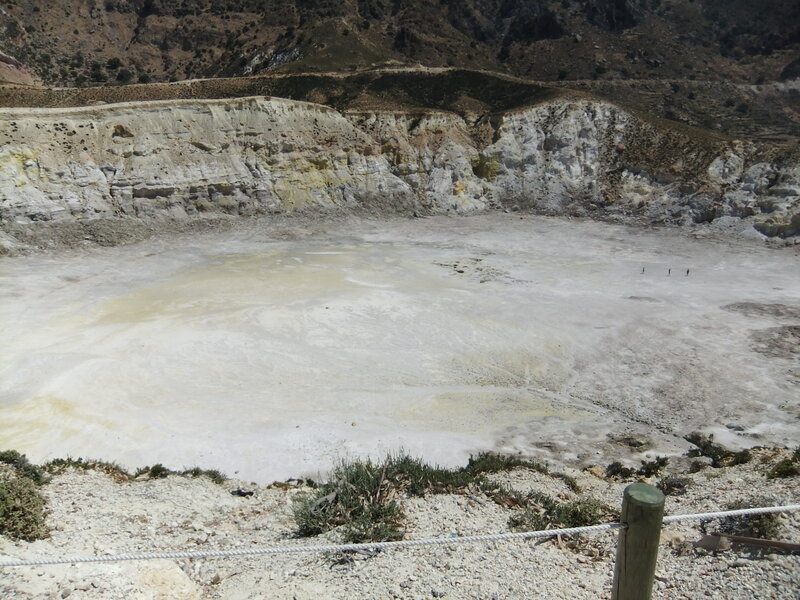 By now it was around mid-day and the heat in the area of the volcano was almost too much to bear but I was still determined to say that I had walked in a volcano! 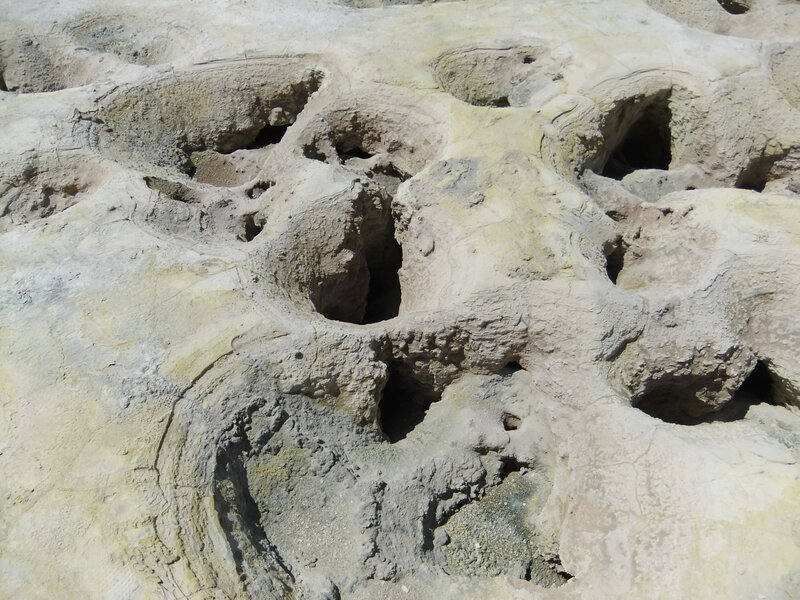 Clambering down into the crater, the soles of my feet felt extremely hot, as a fierce wind blew dust all around us. In fascination I stared for a long time at the smoking holes all around my hot feet and after a while decided that the mid-July heat that day, combined with the choking smell of sulphur was just too much! 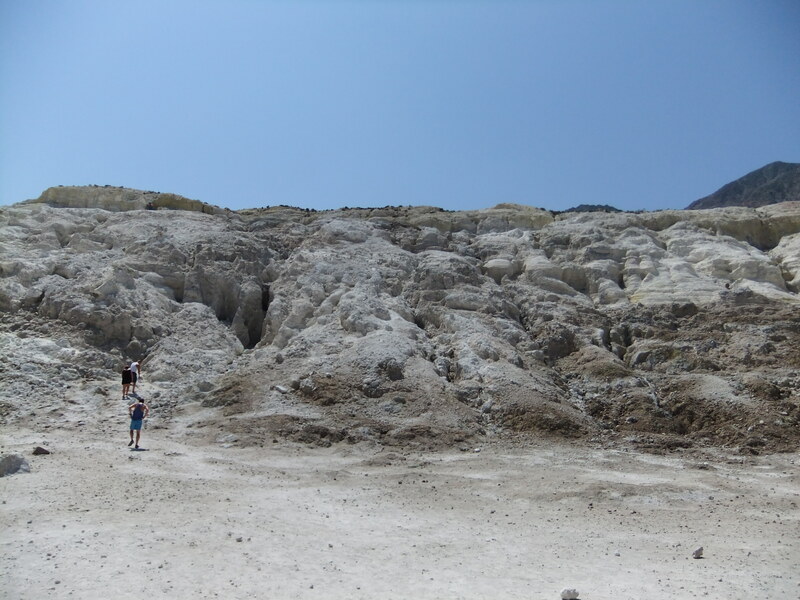 By now the water in my flask was very hot too (it is said that one can fry eggs quickly in that crater) and soon we were clambering up the slope again towards our coach which thankfully had the air conditioning running! 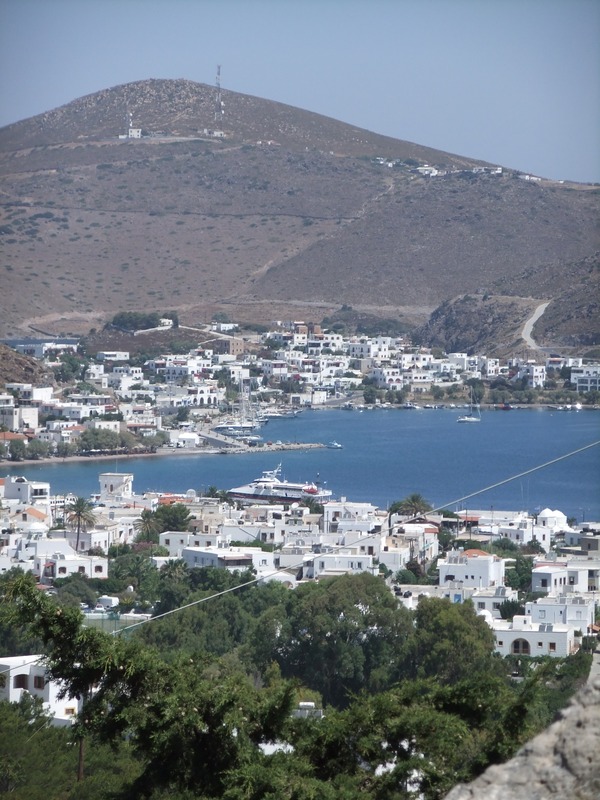 The “sleeping giant” is indeed an ever present threat to the people of the island of Nissiros. 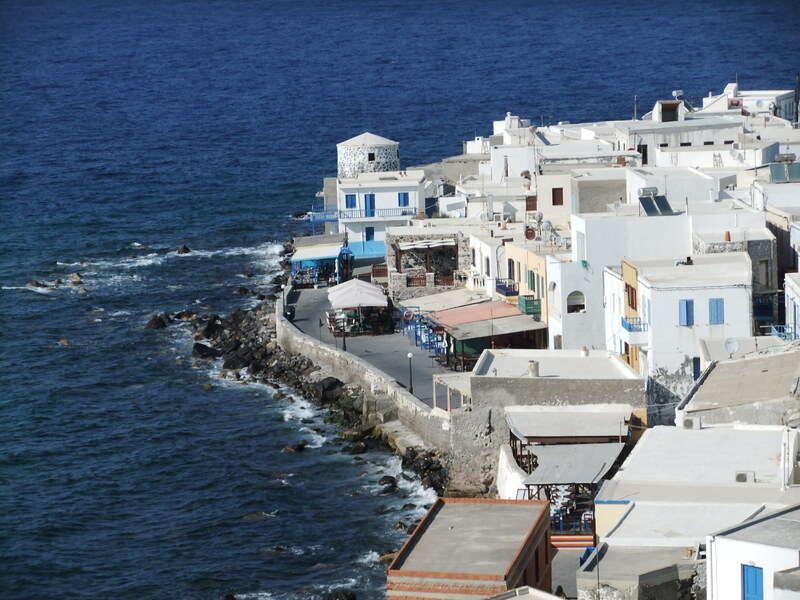 It is a very beautiful island in many respects but I could still smell that sulphur even when we had returned to the small village of Mandráki where we had some time to wander around the lovely narrow little streets before we once more boarded our boat for the return journey. In 1996 and 1997 the islanders also experienced terrifying earth tremors for many months and some cracked dwelling places had to be vacated at this time. Scientists are constantly monitoring the “simmering giant” too, but what can mankind do against the forces of nature – but flee to safety when they receive a warning? You are currently browsing the Elizabeth Burke's Blog blog archives for September, 2012.